A new study has found children who drink low-fat milk can be at increased risk of obesity when compared to children who drink full-fat milk. The study, which was published in the American Journal of Public Health, discovered that children who consumed two cups full-fat milk everyday, compared to those who either drank two cups of low-fat or skim milk, were less than half as likely to be overweight. The researchers believe that the children who did not consume the extra calories provided in the full-fat milk were likely left hungrier and more inclined to then turn to “junk food”. Is the war on butter finally over? The study results have coincidently been released in the same month that American-based dairy farming co-operative, Organic Valley, has released a video it says addresses the false perception that eating butter is bad for your health. Organic Valley’s video says that in the 1950s scientists decided that butter was “evil” and encouraged Americans to replace it with “chemicals, sprays and yellow goo”. According to the video however, scientists have since done more research and found out “butter isn’t bad for us”. Over the past couple of years, Australian Food News has reported several studies and comments from nutrition experts which have questioned whether low-fat foods are better than full-fat. · Is low-fat milk really better for you? In February 2016, a Edith Cowan University study found that there was no advantage to consuming low fat milk over full fat. Research participants in this study in fact had slightly better cholesterol profiles if they drank full-fat milk. · Study finds health benefit to consuming full-fat dairy In November 2015, the Journal of Nutrition found consuming full-fat dairy can lower the chances of an individual experiencing metabolic syndrome. · UK obesity forum criticises low-fat diets In May 2016, group of UK health and nutrition professionals released a report criticising the idea that fat should be avoided as part of a healthy diet. The report cited a number of studies which have found saturated fats do not cause heart disease or obesity. · Low-fat diets proven ineffective for long-term weight loss in November 2015 Australian Food News reported on a study which found those following a low-fat diet will not experience greater long-term weight loss than those following a higher-fat diet. 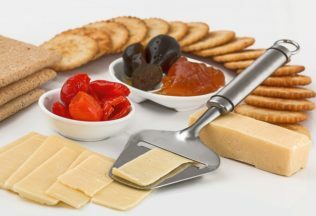 Australian Food News has also recently reported on comments and studies which have suggested saturated fats should not be a health concern, whilst trans fats are instead to be avoided. These articles include “Trans fats, but NOT saturated fats, are the problem”, published August 2015, and “Saturated fats not so bad after all, say leading Australian scientists”, published April 2016. Other research has found that the more calcium someone eats the more fat they excrete through faecal matter. This means even though an individual who consumes a lot of dairy products, and perhaps full-fat dairy products, will not necessary retain all of the fat provided through the foods, and may instead excrete more of it than those only consuming a small amount of calcium. Is low-fat milk really better for you? Domino’s is now offering customers the choice of vegan cheese on their pizzas. Bellamy’s has upgraded its revenue and profit guidance for its 2018 financial year. Will Australian supermarkets make their own milk?